Located in Tampa, Houlihan Stadium had several names during its existence and seemed to resemble a college stadium rather than a NFL stadium. In the mid 1960s the Tampa Sports Authority was created. One of its first jobs was to have a new football stadium built for the University of Tampa. Construction began on October 18, 1966 and was swiftly completed in just over a year. The first game at Tampa Stadium was held on November 4, 1967 between the University of Tennessee and the University of Tampa. 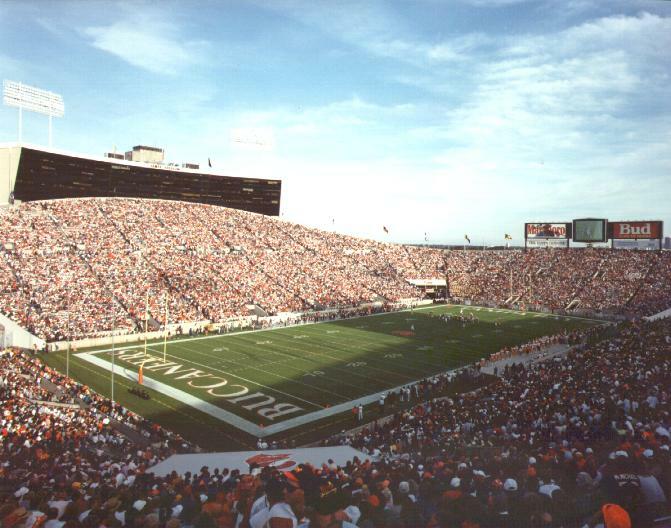 The stadium originally had a capacity of 40,000, with one tier of seating on both sides of the field. One year later on August 10, 1968, Tampa Stadium hosted its first NFL game between the Washington Redskins and Atlanta Falcons. During the same year, a committee was formed in order to get the area an expansion NFL team. They succeeded and Tampa was awarded a team in 1974, the Tampa Bay Buccaneers, that began playing in 1976. The stadium received $13 million in renovations that included expanding the capacity of the stadium to 72,000 and the addition of luxury suites. 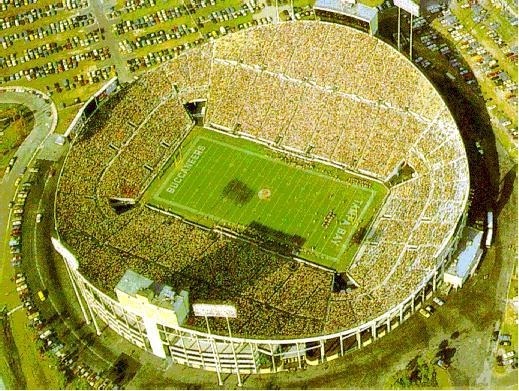 The Buccaneers first game at Tampa Stadium was on August 21, 1975. Very few changes took place at Tampa Stadium after 1975. In 1995, Tampa Stadium was renamed Houlihan Stadium by the Buccaneers. In the mid 1990s the Buccaneers wanted a new stadium in order to bring in additional revenues. A bond was passed and Raymond James Stadium, a brand new stadium was built adjacent to Houlihan Stadium. The Buccaneers played their last game at Houlihan Stadium on September 13, 1998. The stadium was demolished the following year. Houlihan Stadium was home to many events other than Buccaneers games, including the Tampa Bay Mutiny (MLS), the Outback Bowl and Super Bowls XVIII and XXV.